So Cal Family... 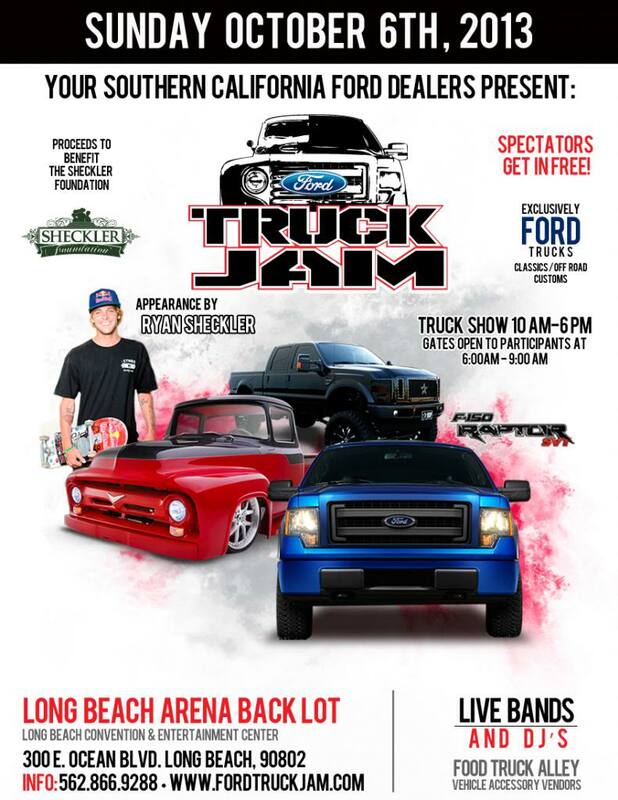 Wanted to let you know about an event coming up for Ford Trucks only called the Ford Truck Jam presented by Southern California Ford Dealers. It will be held October 6th at the Long Beach Convention Center, and feature Live Bands / DJ's/ Food Truck Alley/Performance Parts for Sale... Free to all spectators, and proceeds will go to the Sheckler Foundation. Please share the page with friends and family... Thank you!